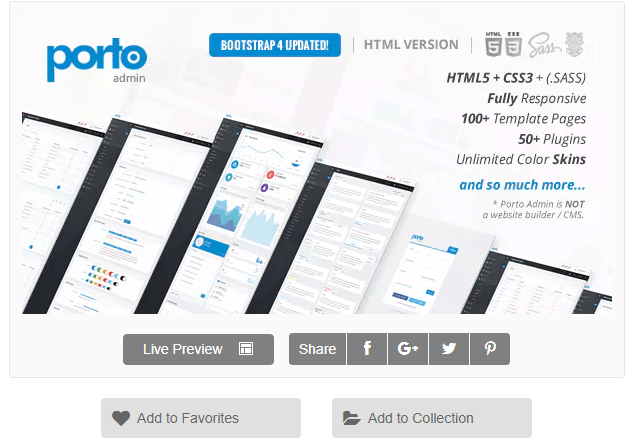 Bootstrap 3 is the latest version of the Bootstrap and the largest web framework with a lot of features, all easy to use. 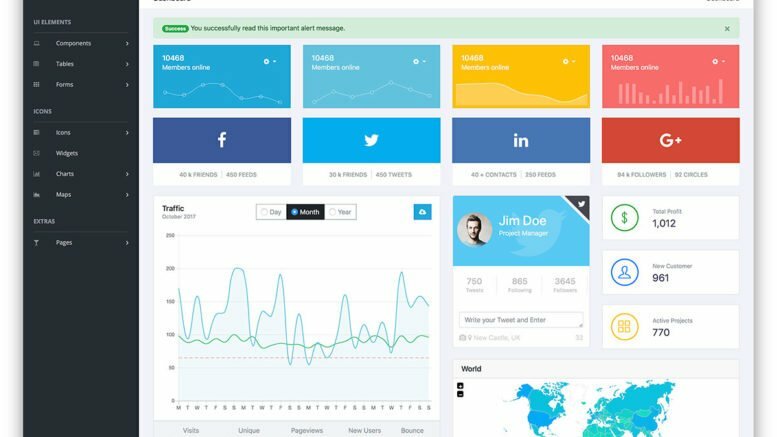 We’ve hand-picked the list of 20 best free Bootstrap 4 Admin and Dashboard templates. The focus of each template is different – some templates offer a wide range of customization while others focus on specific features. We’re certain you will find a template that suits your needs perfectly! 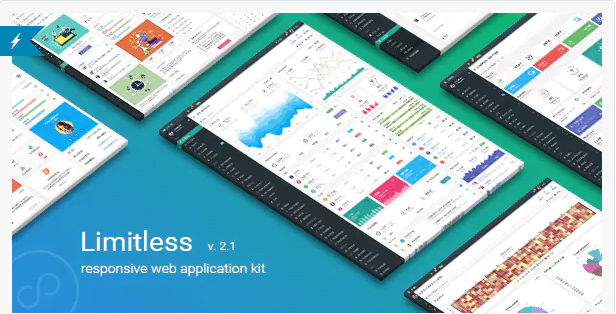 These simple yet powerful templates are well suited for web apps or any other website or project that requires dashboard. This templates will serve as a solid foundation for your upcoming project and will save you a lot of time. Needless to say that Bootstrap makes these templates mobile-friendly and responsive. 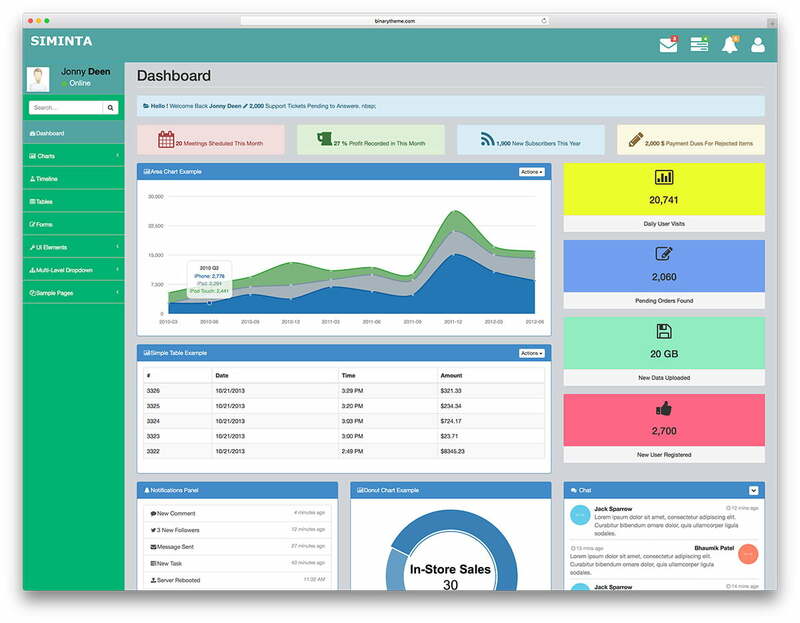 Adminator is by far the best free template ever released. If we would say that it is a game changer it would be a massive understatement because it is playing a new game on its own. Period. 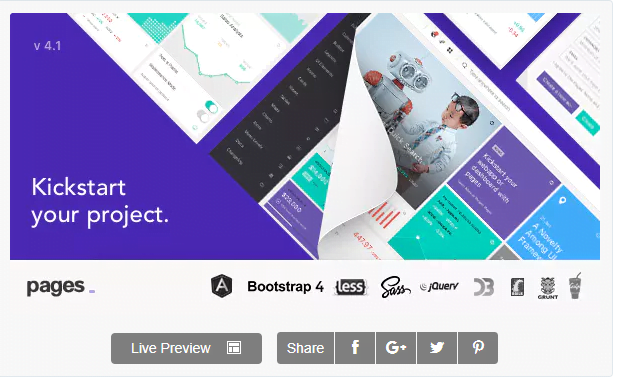 Based on Bootstrap 4 packs the latest and greatest tools to improve web development like nothing you have ever seen released for free. Enjoy and let us know what you think in the comment section below. 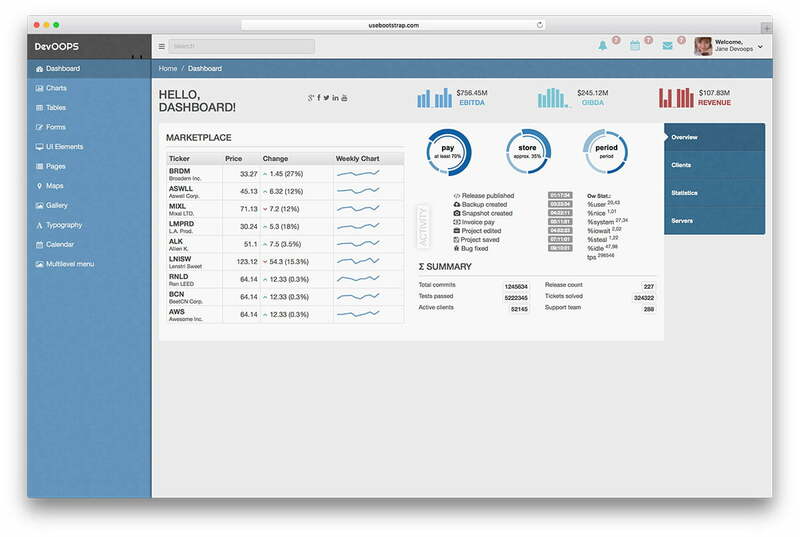 ElaAdmin is the latest creating by Colorlib and has proven to be one of the most successful dashboards ever released. 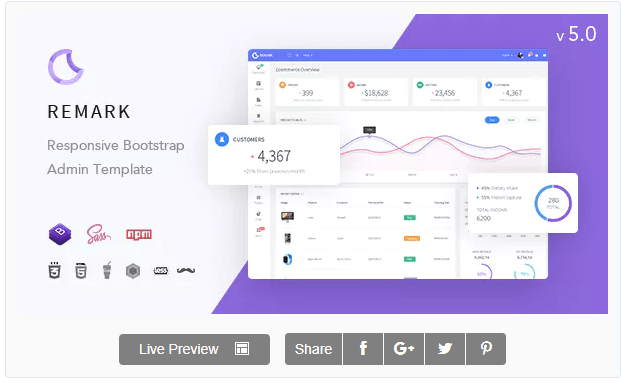 It is based on Bootstrap 4 and comes with more libraries, pages and elements than any premium template out there. Why we are giving it away for free? Because we want to see what users will come up with and how far it can go. Gentelella a responsive, flat and full featured template build. This template is build on Bootstrap 3 framework using modern techniques like HTML5 and CSS3 to be used for backend solutions of any size. 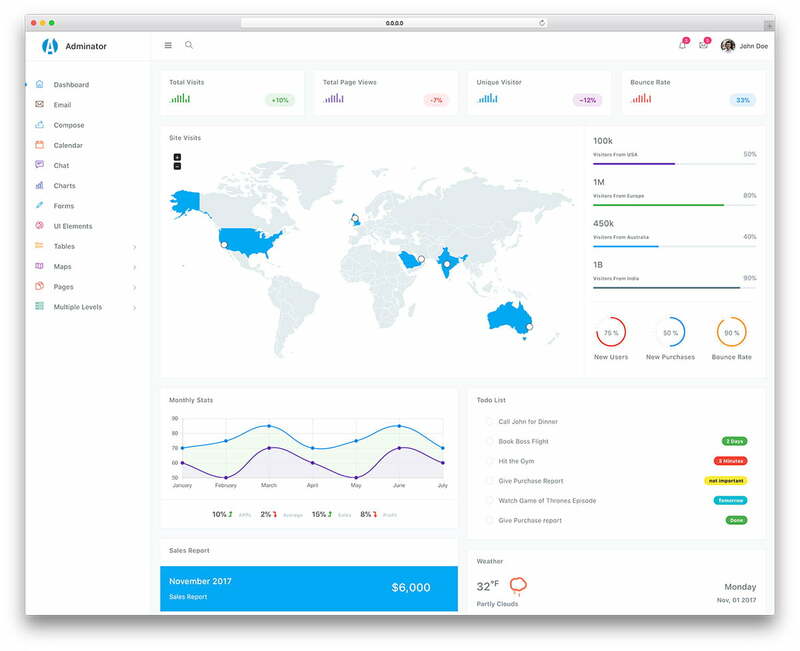 This is by far the most advanced and well designed free dashboard template that can easily compete with any premium alternative. This template features plenty of different options and many different versions for you to test out and find the perfect fit. This template soon to face a major overhaul with new design and functionality. Make sure to follow it to be the first one to see the revelation. 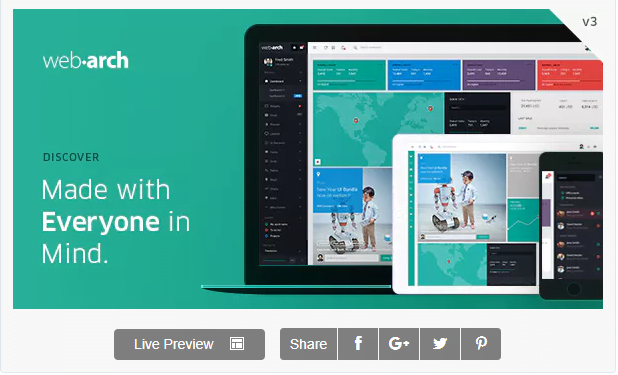 It is going to be build using Bootstrap 4 and bring latest and greatest to the scene. Monarch is an elegant and extremely well developed, mature and sophisticated, technologically top of the line and deftly competent, highly accessible and both user and developer friendly, lightweight and fast-loading. 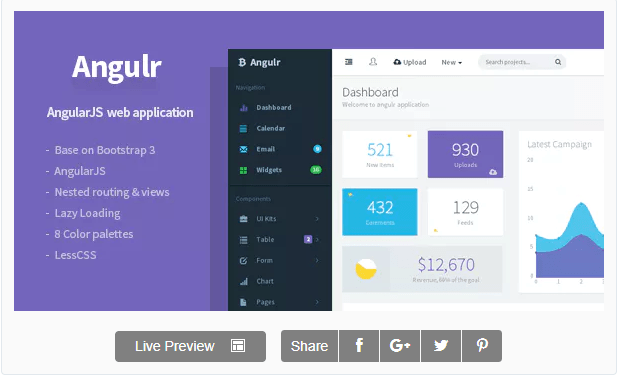 Furthermore it’s highly customizable responsive AngularJS and HTML5 Admin website template. resulting into a resourceful and cleverly crafted theme, a platform constructed with the pliable malleability and adaptive modularity of the latest and great web development technologies, founded upon a robust framework coded with W3C-valid, lightweight and efficient HTML5 standards. In conclusion, it offers webmasters and developers a full range of web-based desktop and mobile application development tools and powerful features to assist in crafting sophisticated, dynamic and interactive web applications and modern, dashing websites built around them. Delight is a beautiful and versatile, while remaining efficient and lightweight. In addition to being tech-savvy and attractive, it’s easy to use and customize, visually flexible and lastly, highly responsive Bootstrap Theme website template. An innovative and impressively potent toolkit for webmasters and developers to craft unique and distinct, modern web-based applications and sophisticated websites and presentations, for all sorts of diverse fields, industries and clients. AdminLTE provides a range of responsive, reusable, and commonly used components. It features over 1000 icons, custom-made plugins, 6 different skins and plenty more. Matrix Admin is a wonderfully fresh-faced and colorfully youthful. An intuitive and attractive yet, quite robust HTML5 and Bootstrap template. A perfect theme for amateur or professional webmasters that are establishing their online home for themselves, their projects or their business, and are in need of a reliable, solid and robust framework wherein they can develop their website without wasting time and effort in coding every last little bit of functionality and every single resource. 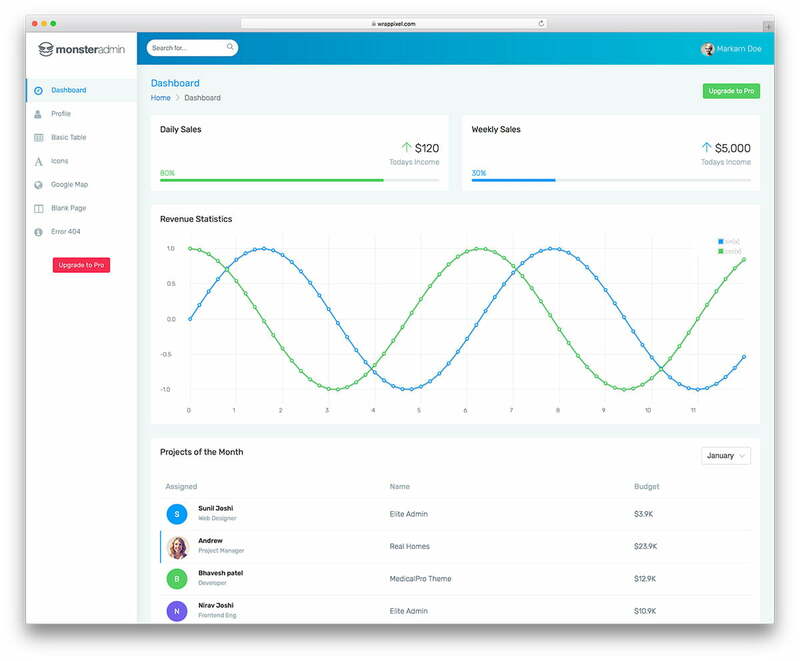 Lumino is a clean and fresh panel template which includes everything you need for your backend administration panel. 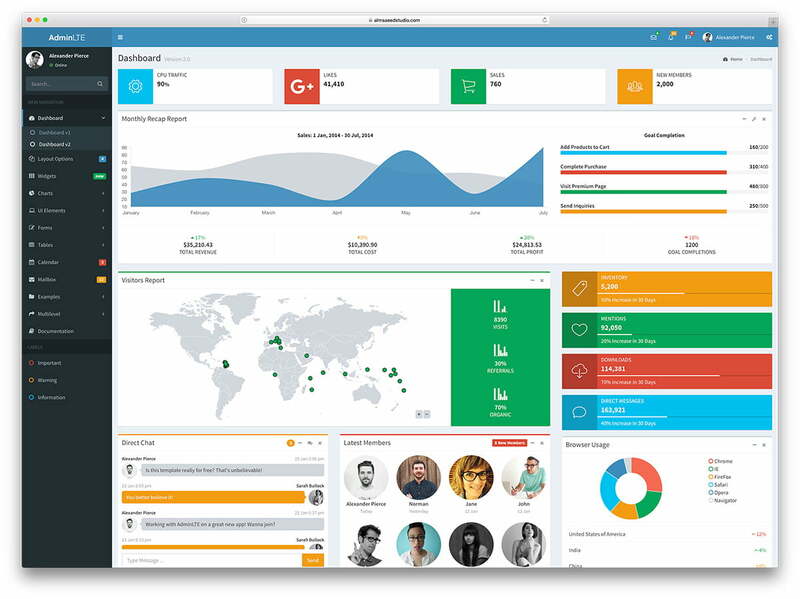 Consequently, some of Lumino’s many features are a dashboard overview page, various widgets, responsive charts, advanced data tables, forms, UI elements and sample login page. 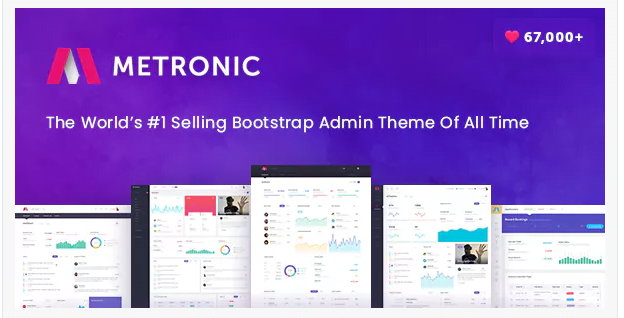 While not as colorful or flashy as other themes, Bootstrap Admin Theme’s main focus is on usability and utility. 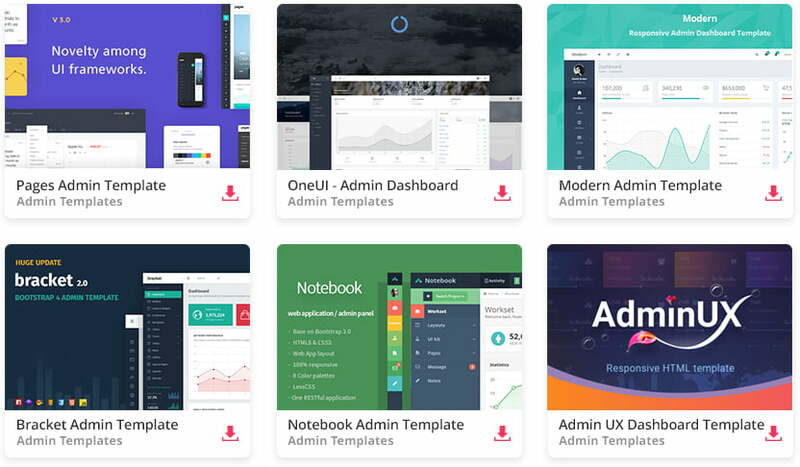 It’s because that the custom made plugins, different editors, and plenty of UI and interface elements guarantees easy to use admin template with great customizability. 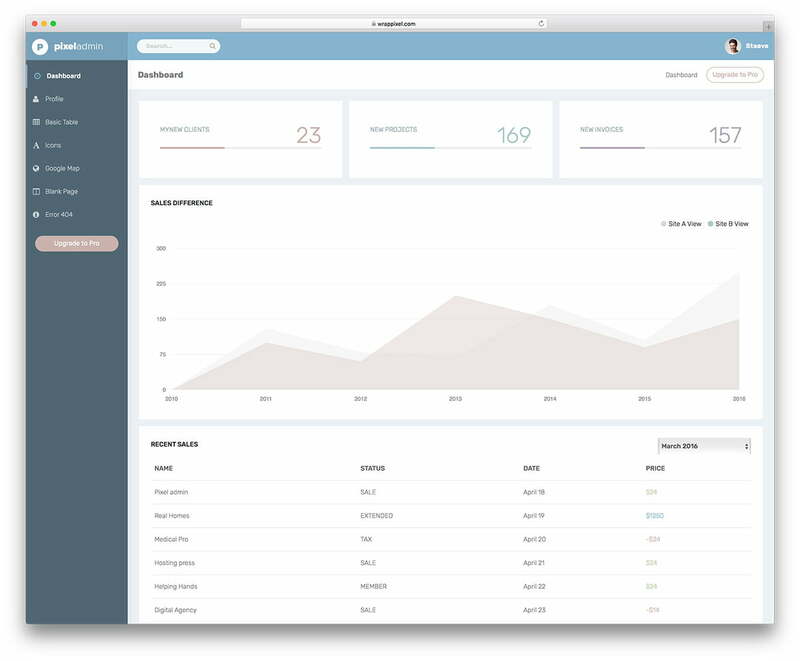 DashGum is a simple and elegant admin panel. While it comes with 15 pages to start your panel as soon as possible. Furthermore, you have charts, tables, a lot of panels, calendars, notifications, to-do lists and more. 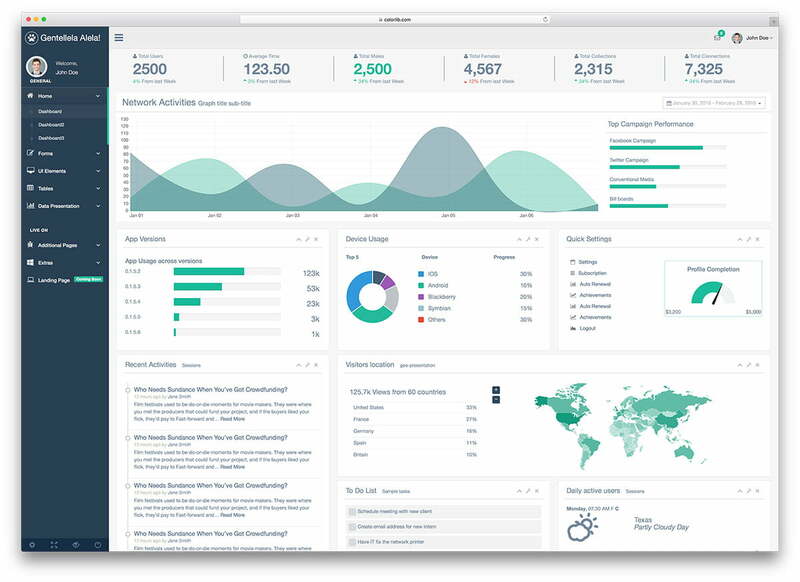 Ample Admin Lite is a well-crafted template designed for admin panels and dashboards. It is a free and available option to improve your websites. Though, if more complex and complete options were wanted you can get its pro version. This last one is ideal for expert users and or commercial use. Ample Admin lite, is minimalistic but flexible. You will get a Bootstrap based element with quick customization. It uses Lessbase CSS and Font Awesome icons and fonts. 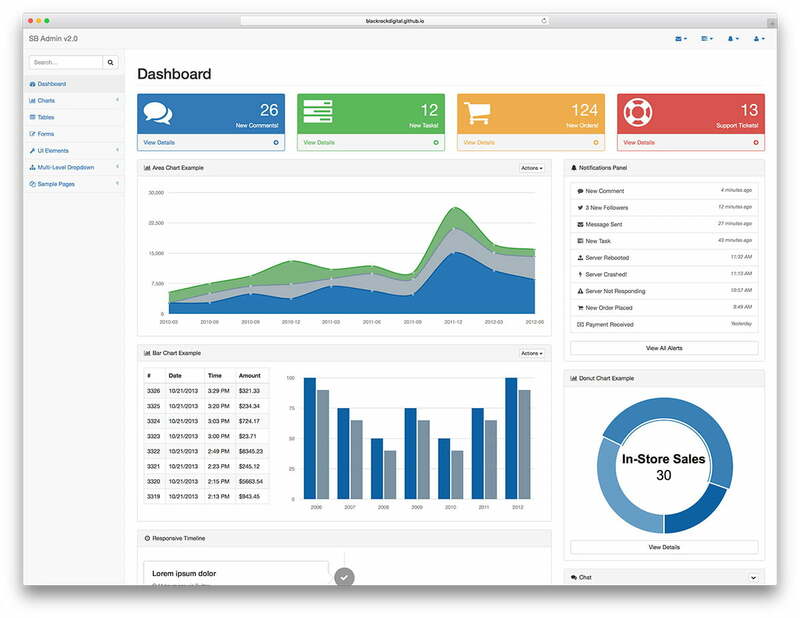 Ample Admin lite is light weighted, completely responsive and features tables and charts. Use its awesome 10 IU components to get a taste of the +500 options of its pro version. 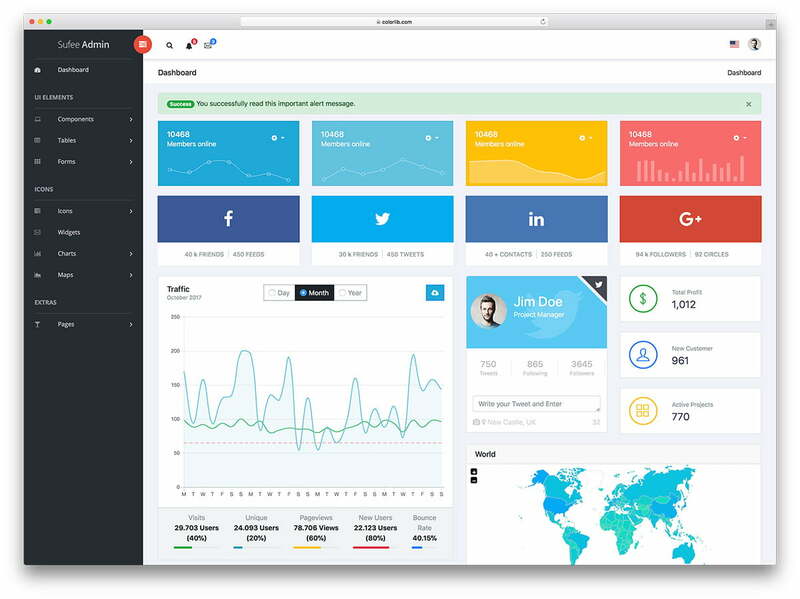 Monster admin lite is an HTML admin dashboard template made to fit all your needs. It comes with 3 versions from free to paid that adapt to your particular use. You will get a live demo easily downloadable. 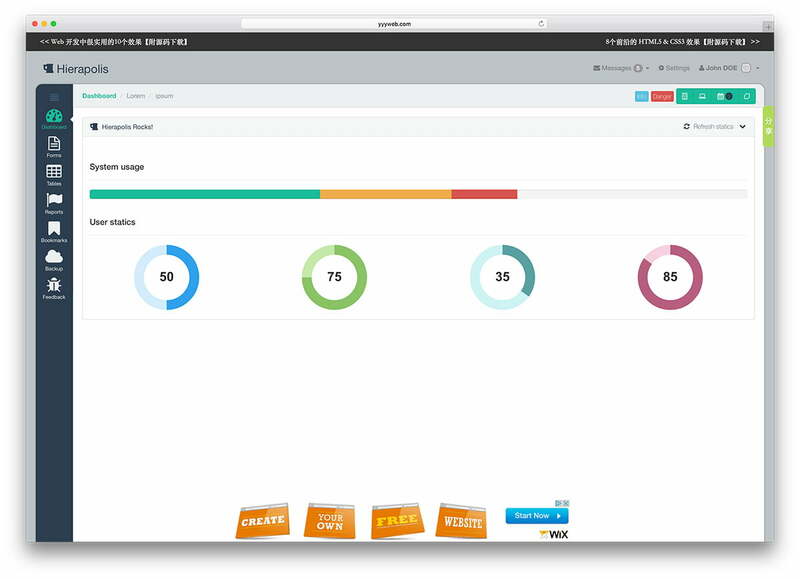 Monster admin lite is crafted to have versatility and simplicity. It offers multiple choices for dashboard variations and over 10 IU elements. 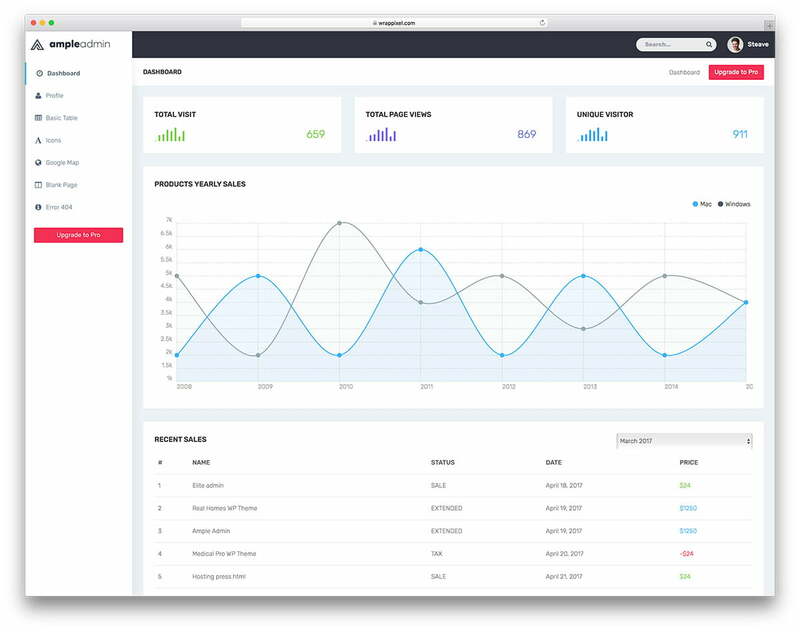 It was built on a clean code and it is Bootstrap compatible on framework. Monster admin lite has incredible Font Awesome Icons and unique color options. It is a theme made to set up a page in a quick, light and fun experience. 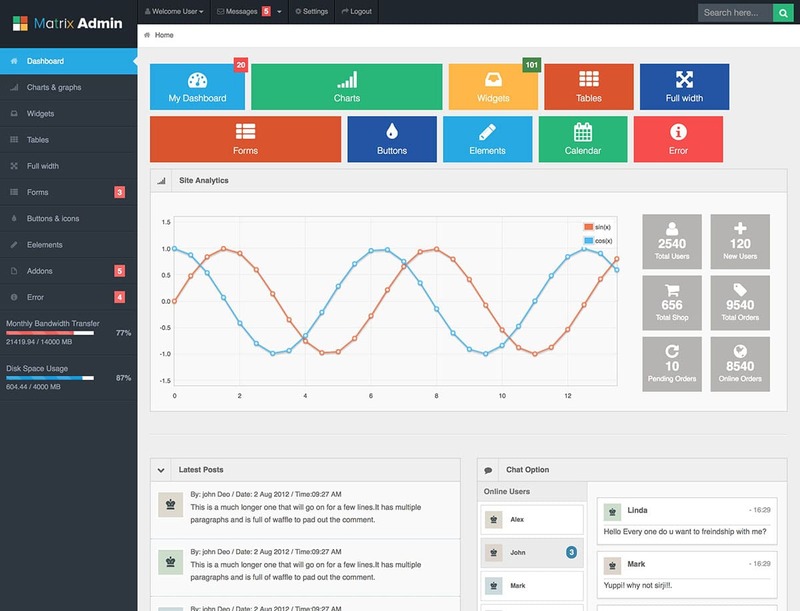 Pixel admin lite is an HTML admin dashboard template of multiple uses. It comes with tons of unique elements is a responsive layout. 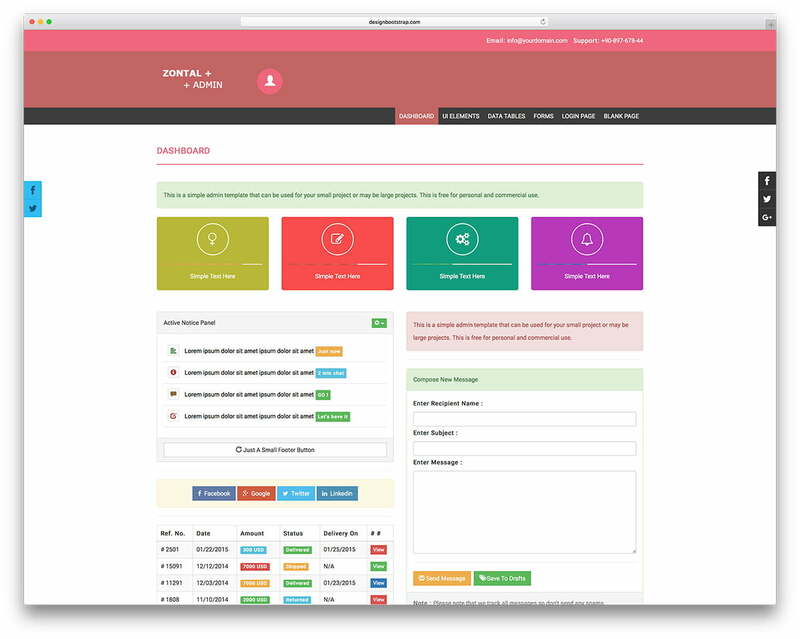 It is Bootstrap based and uses advanced panel options. You will get it for free and completely downloadable. 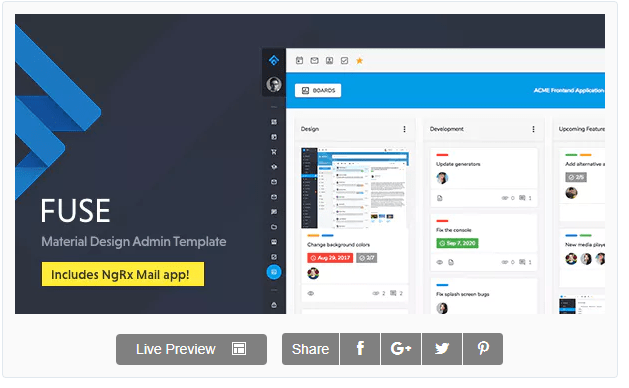 Pixel admin lite is adaptable to all screens and very mobile friendly. It offers loads of colors options to the point of no limit. Have fun playing around with its Font Awesome Icons. Pixel admin lite has a targeted use for the individual customer. However, for commercial use, there is a pro version highly improved. 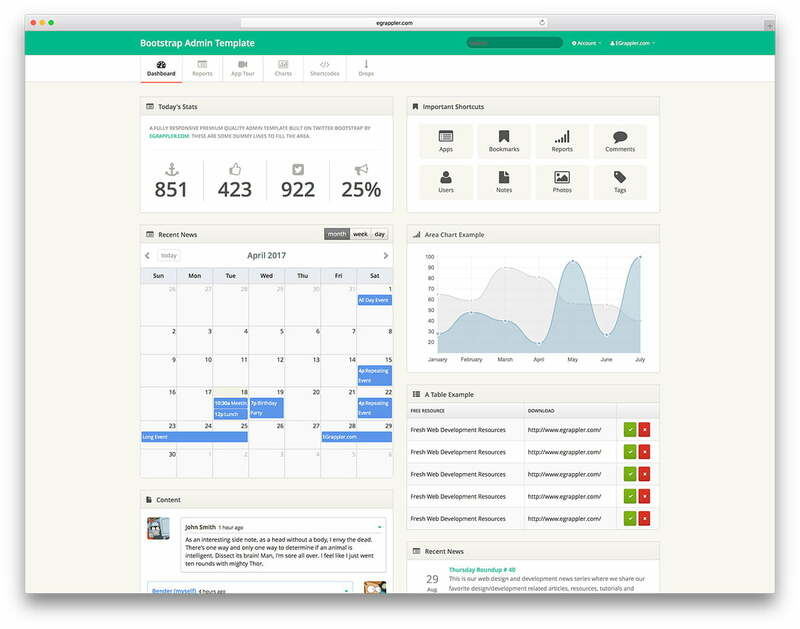 Siminta is a responsive admin dashboard template for admin and backend applications. It is a reliable, user-friendly and easy to customize. Siminta comes with a huge collection of plugins and UI components that make your work easy. 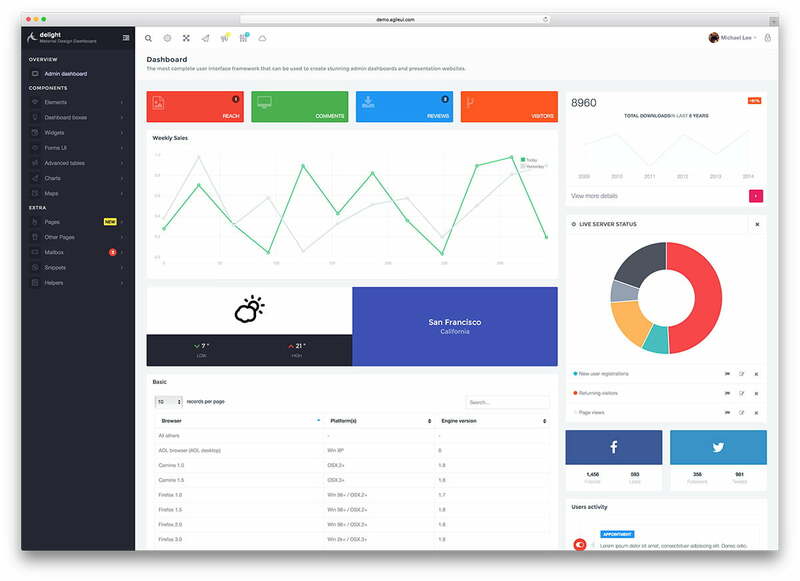 With 2 color skins and more than 20 plugins Devoops v2 is a stylish Admin and Dashboard theme that is incredibly versatile and customizable. 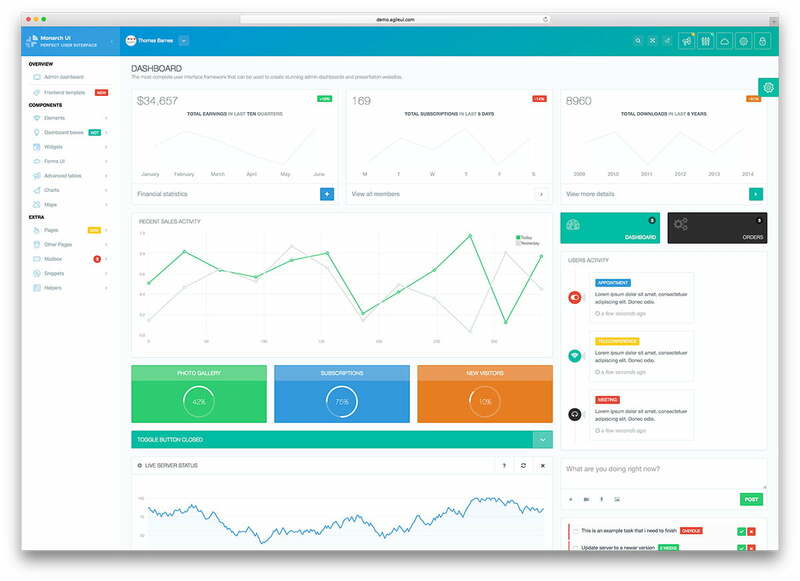 Based on Bootstrap, TemplateVamp is a fully functional and customizable admin template that leverages the power and flexibility of HTML5 & CSS3. It can be used as a front-end toolkit for rapidly developing web applications that are lightweight, faster, and mobile-friendly; a great starting point. 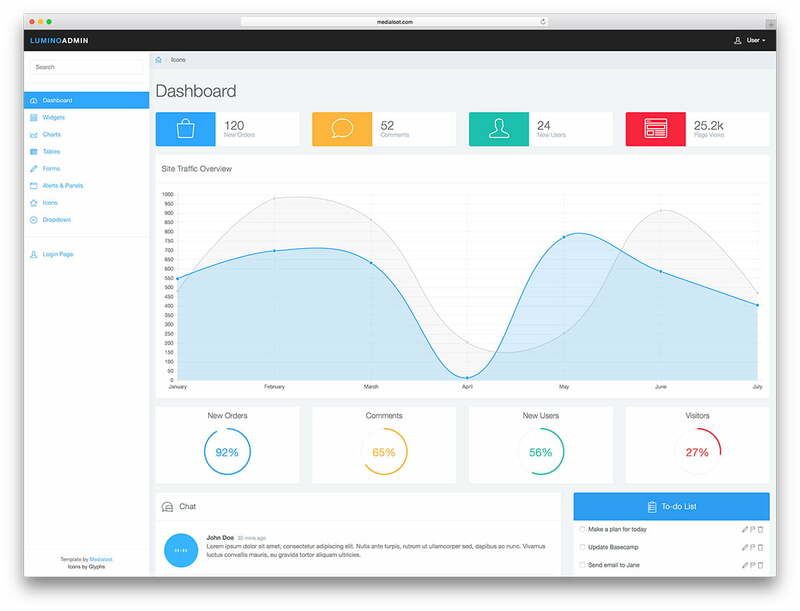 Clean and flat style admin and dashboard template with modern design. Hierapolis is based on Bootstrap 3 with SASS and Compass. 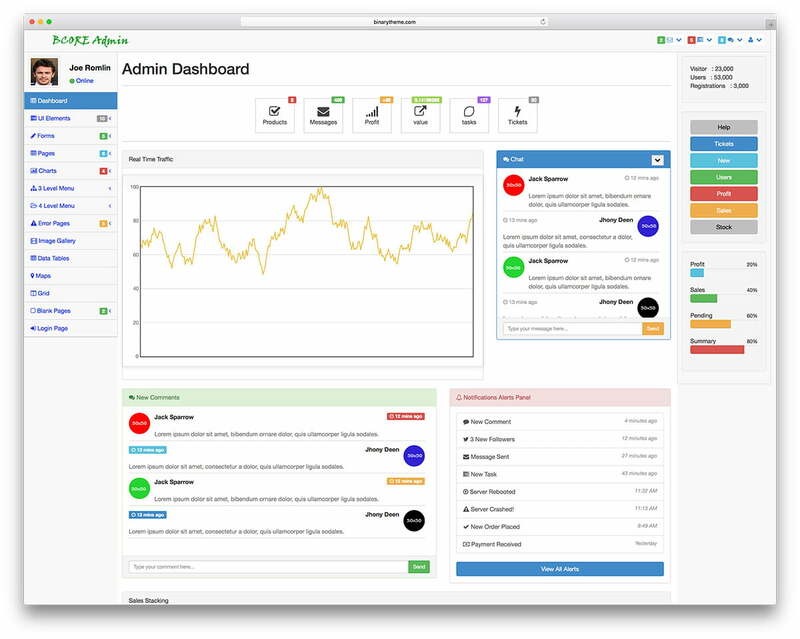 This is a starter template for an admin, control panel or dashboard. This template has a collapsible tree menu and a variety of panels that can be used as dashboard widgets. 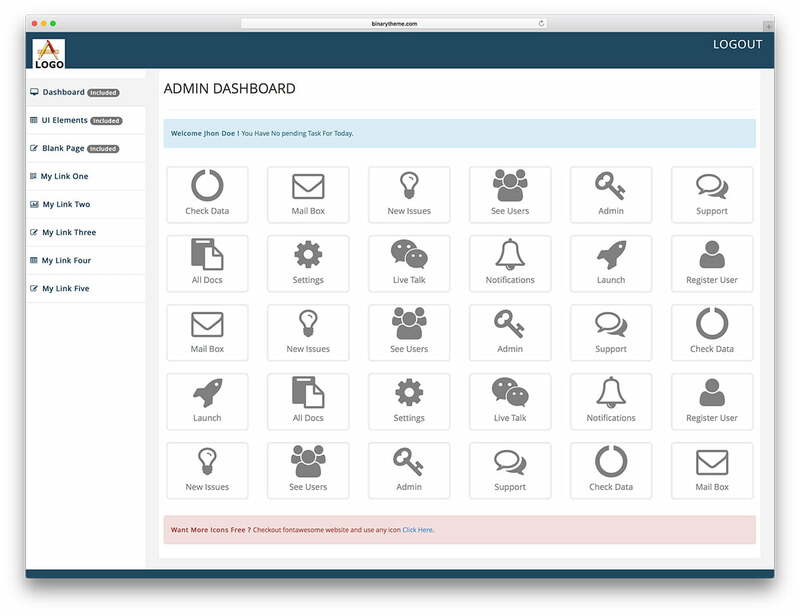 Simple Responsive Admin is a free lightweight, imageless and bootstrap based admin theme. 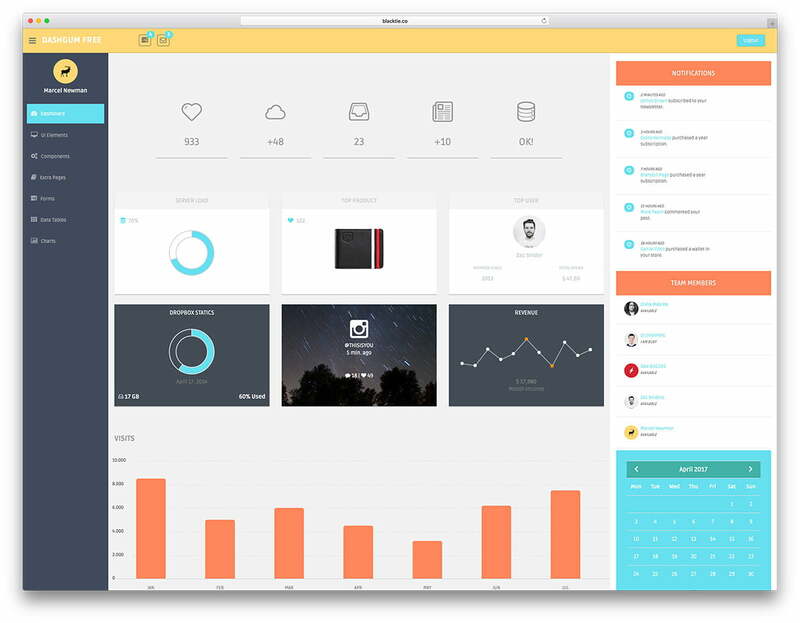 You can use this admin theme for personal and commercial projects under cc3.0. 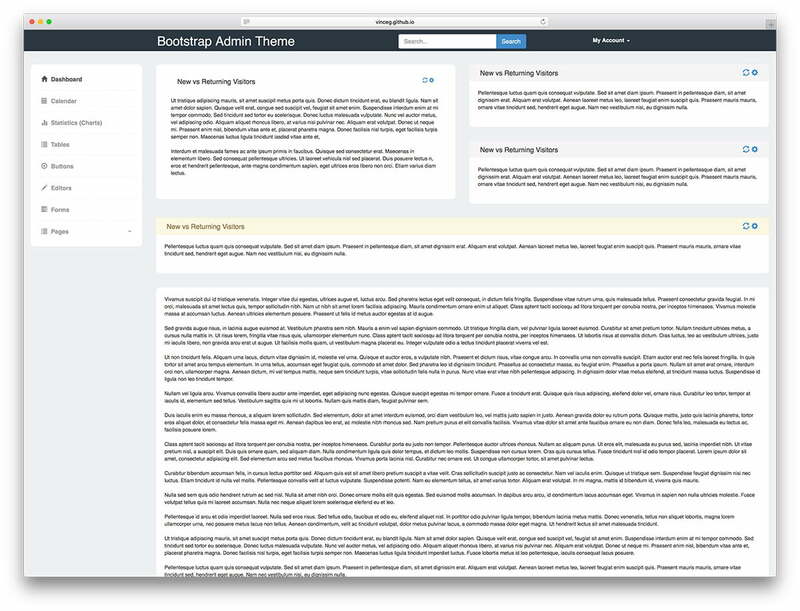 This is an admin theme with many additional pages and layouts. 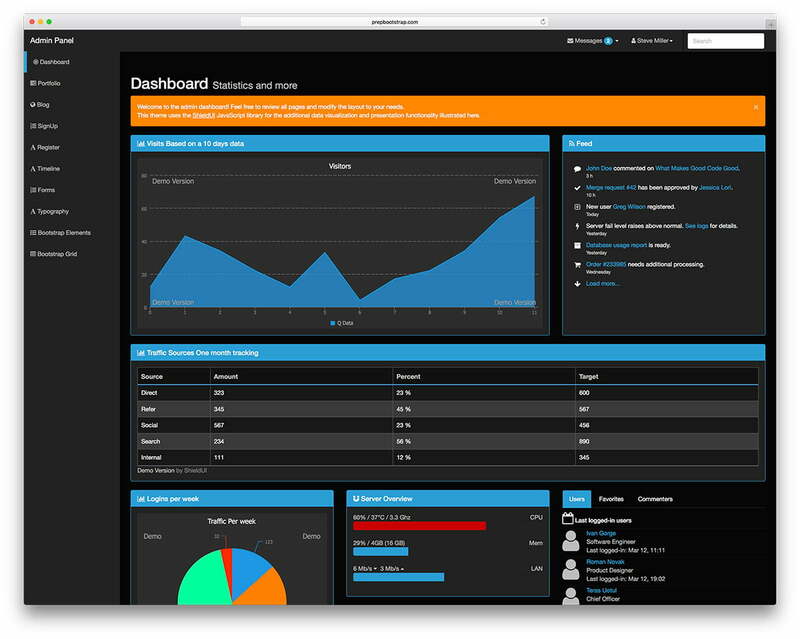 Dashboard, which contains dashboard widgets, handle the task of data visualization for the theme. Useful for quarterly reports, sales data, data reporting etc. 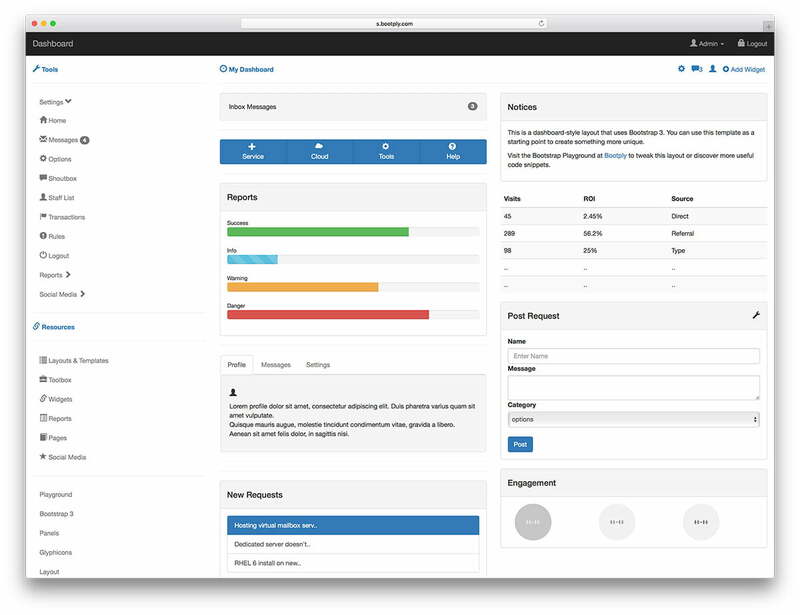 BCORE is fully responsive admin template. 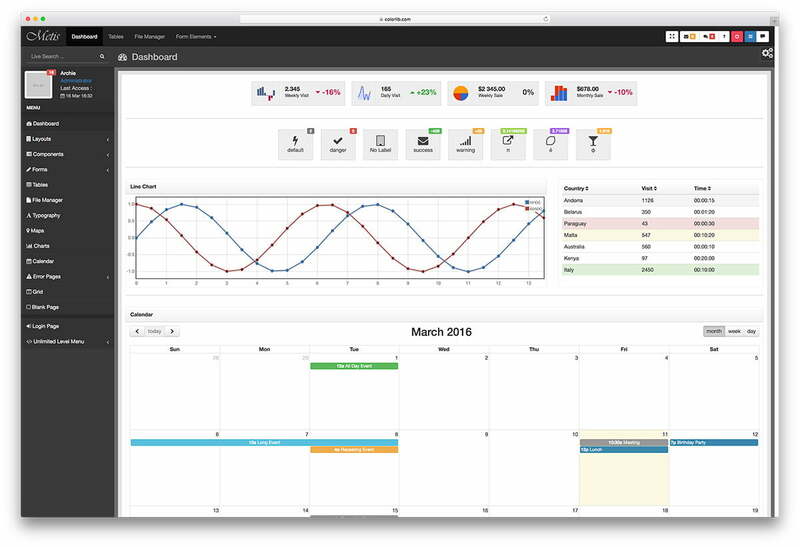 It comes with 40+ integrated plugins for charts, data tables, maps, form elements, notifications and more. 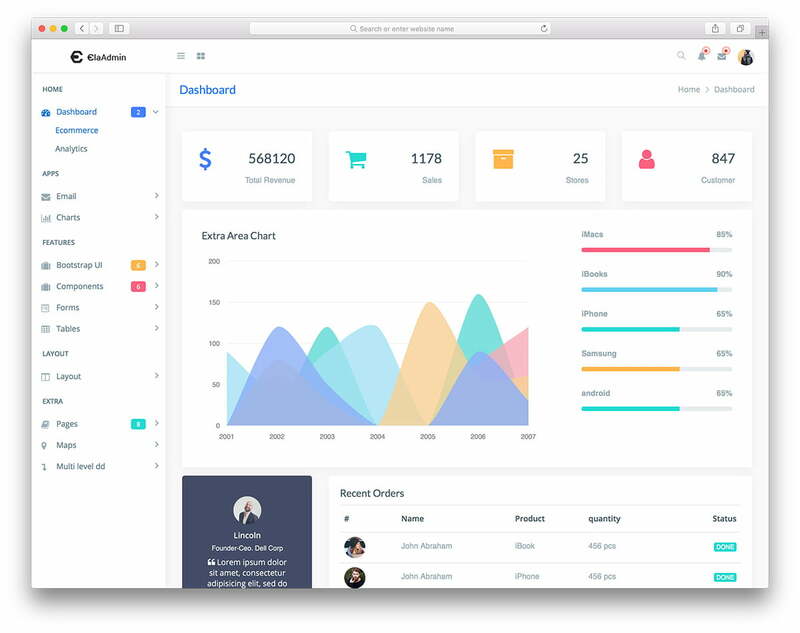 A powerful admin template based on Bootstrap that provides a clean and intuitive design that is focused on UX. It has been built to work seamlessly across browsers, tablets, and phones. It includes advanced examples of charts, form validation, and maps. 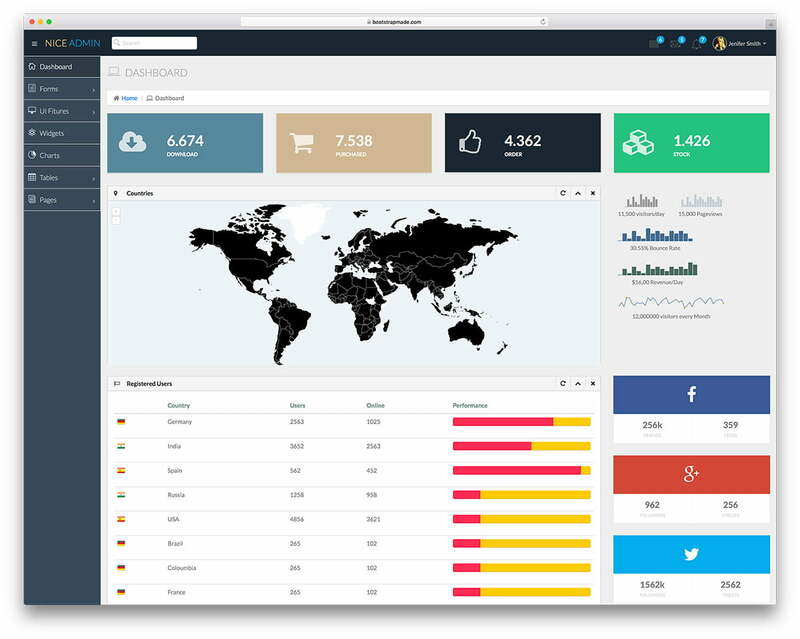 Zontal is free Bootstrap admin template for personal and commercial use. It features nice animations and movement that is similar to material design.